TCM Group Ukraine is the Ukrainian office of TCM Group International Ltd., which is a unique alliance of 35 law offices and 110 agencies, practicing international commercial dispute resolution in a total of 145 countries. TCM Group International was established in 1987 and since 2014 has been represented in Ukraine through its office in Kyiv, providing Ukrainian clients with a unique opportunity to access its offices worldwide. At the same time, TCM Group Ukraine represents all foreign offices of TCM Group International in international dispute resolution in Ukraine, building on the Group’s knowledge and expertise in the following areas: international commercial litigation and arbitration, negotiations and mediations, international commercial debt collection, recognition and enforcement of foreign judgments and arbitral awards, and bankruptcy proceedings. TCM Group offices: Argentina, Australia, Austria, Belgium, Bolivia, Brazil, Canada, Chile, China, Colombia, Cyprus, Czech Republic, Denmark, Dominican Republic, Ecuador, Egypt, Estonia, Finland, France, Germany, Greece, Hungary, Iceland, India, Ireland, Israel, Italy, Japan, Netherlands, Norway, Poland, Russian Federation, South Africa, South Korea, Sweden, Switzerland, Ukraine, United States of America. Doing business is in many ways a game that is full of uncertainties and risks, making risk management in business a hot topic. Certainly, past experience urges us to mitigate possible risks through a well-drafted contract before engaging in a business relationship with a counter-party. However, this practice cannot guarantee by any means that the execution of the contract will go smoothly. This article provides some guidance on the ways to protect company’s interests and reduce commercial risks through the careful choice of a dispute resolution method. A relevant question one may ask is which legal instrument should be used to achieve better protection for a company. The conventional approach is to rely on state courts as a dispute resolution forum. Another option could be an arbitration clause in a commercial contract that would refer parties to an independent tribunal. Alternatively, the parties can choose mediation as a more flexible method that is aimed at preserving a working relationship between business partners. Finally, parties can opt for negotiations to avoid unnecessary expenses and streamline settlement of a dispute. It is important, however, to compare the advantages and disadvantages of the techniques described above. As an effective dispute resolution method that is becoming more and more popular, arbitration may be quite costly. Moreover, engaging in this adversarial proceeding often makes it difficult for parties to settle a dispute on amicable terms. Mediation has proven to be one of the most efficient methods for companies to handle their disputes without damaging a fruitful business relationship with counterparties. Often, a conflict can be resolved by a skilled mediator who guides parties towards a compromise solution that is acceptable for everybody. Due to its remarkable efficiency, there are reasons to believe that mediation will be widely used by Ukrainian businesses in the near future. One more effective means to resolve commercial disputes are pre-trial negotiations. While at first glance this method appears to be relatively easy to use, in contrast to a more technical arbitral procedure and litigation, it actually requires a lot of skill. Often, stakes in a dispute can be as high as ten or twenty percent of a company’s annual revenue. Therefore, businesses are strongly advised to retain professional negotiators with extensive practical experience to represent their interests. They will ensure that a company will be able to recover the majority of a disputed sum that can be used to pay salaries, interest to creditors, taxes, trade financing, etc. Let us consider in some greater detail the methods of alternative dispute resolution described above. Ukraine is considered to be an arbitration-friendly jurisdiction. The legal framework regulating international commercial arbitration in Ukraine is set out by the Law of Ukraine On International Commercial Arbitration. Moreover, Ukraine is a member of the UN Convention on the Recognition and Enforcement of the Foreign Arbitral Awards. Therefore, provisions of the Convention that guarantee smooth enforcement of arbitral awards by state courts form a part of Ukrainian legislation. Moreover, arbitral awards that are issued in Ukraine can be recognized by courts of other members of the Convention through a simplified procedure. It should be noted, however, that while arbitration remains an efficient instrument for resolution of international commercial disputes, some commentators argue that it no longer meets all the essential needs of the modern business. They point at numerous formalities, similar to a certain degree to those of conventional litigation, that do not allow parties to quickly reach a compromise. Another important aspect is the cost of arbitration. For example, in an arbitral proceeding initiated before the International Arbitration Court at the Ukrainian Chamber of Commerce and Industry, a party is expected to pay more than USD 6,000 in arbitration fees, when a disputed amount in a commercial dispute is about USD 105,000.00. However, the overall cost of a proceeding may easily exceed 10% of the disputed sum, when legal fees paid to parties’ counsel and other related expenses are taken into account. Moreover, obtaining a favorable arbitral award does not guarantee that a company will automatically recover its money. The company can easily double its arbitration-related expenses if the losing party starts opposing enforcement of the award. The procedure of negotiations with involvement of independent mediators is widely used across the globe. Following the successful experience in foreign countries, Ukrainian enterprises start relying more and more on mediation. Besides, it is possible that this method of dispute settlement will be formally regulated by Ukrainian legislation in the near future. However, mediation is far from being ideal for all types of disputes because it is based on the will of the parties to find a mutually acceptable solution. If one of the parties is not willing to cooperate, the mediator has no inherent powers to resolve the dispute independently. Over the past year, no significant changes were introduced to Ukrainian legislation in the area of alternative dispute resolution despite active discussions in the expert community. On 1 November 2016, the Draft Law of Ukraine No. 3665 On Mediation was adopted in the first reading. This Draft Law has a potential to introduce significant changes into regulation of pre-trial settlement of disputes in Ukraine. It should be noted that Draft Law No. 3665 neither sets specific deadlines for mediation, nor obliges participants to comply with any bureaucratic procedures. The advantage of such an approach is that some of the most complex commercial disputes could be resolved in a relatively short period of time, as parties and mediators would be free from excessive formalities installed by law. However, one controversial issue in the bill is the optional nature of mediation clauses. This means that parties could ignore the agreement to settle disputes through mediation and apply directly to courts. We believe that this provision could potentially hinder the overall efficiency of mediation in Ukraine because parties, after consenting to mediation, could skip this procedure altogether. 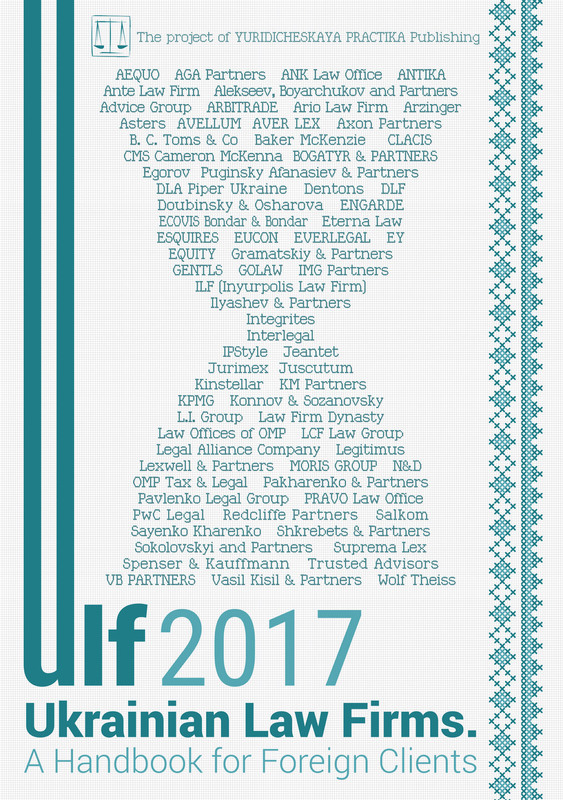 While the Ukrainian market is only starting to understand the benefits of mediation, some law firms with established international practices are already providing first-class mediation services. The quality of services is guaranteed by codes of conduct and general corporate culture of these law firms. Companies can retain professional negotiators as their representatives in commercial disputes. As a rule, the most effective negotiators are attorneys that possess extensive experience in alternative dispute resolution. While guiding the parties to a mutually acceptable solution, they make sure that the interests of their client are protected to the highest degree possible. The advantages of retaining an experienced attorney as a negotiator include, among others, knowledge of local law and languages, wide network of contacts, access to restricted information about the other party and excellent communication skills. As an example, we have successfully represented a client from Hungary that supplies agricultural machinery, in a multi-million dispute over unpaid invoices for delivered machinery to a group of Ukrainian companies. In cooperation with our Hungarian colleagues, we have provided the client with legal advice on applicable law and negotiated on his behalf an amicable settlement of the dispute, as well as the conditions of future agreements with the Ukrainian counterparty and with the state authorities. As a result, we helped the client to avoid lengthy and expensive litigation in state courts and ensured favorable settlement of the dispute. Moreover, we conducted the negotiations on a success fee basis, making them a risk-free option for our client. As each dispute is different, lawyers are often required to think “out of the box”. This is exactly what our international team has achieved in negotiations, where we represented a client from Germany who had an unresolved dispute with a business partner established in a CIS country. In this dispute, the debtor failed to respect the conditions of the export agreement that eventually led to overdue payments for more than a year. Our attorneys organized personal meetings with the debtor that allowed reaching a complex settlement agreement. First, the debtor agreed to partially pay the debt from its associated assets that we managed to identify. Moreover, our lawyers secured payments from Chinese partners of the debtor that agreed to pay the remaining part of the debt. One of the biggest advantages of resolving commercial disputes through negotiations is that they often lead to further cooperation among partners after a dispute is settled and new agreements are signed. Our practice shows that when an experienced legal adviser controls the implementation of settlement agreements, the risk of them being breached is quite low. This allows the parties to re-establish their business relationship in a win-win manner and build up confidence in each other. Entrusting cases similar to those mentioned above to professional negotiators has many advantages: the client does not spend time on negotiations, factual analysis or legal research; negotiations are conducted by professional lawyers who are specialists in the matter and know how to protect a client’s interests in the best way possible; all information shared by the parties during negotiations is protected; reputation and business relationship between the parties are restored, etc. The methods of alternative dispute resolution described above often provide more benefit to companies than conventional litigation, such as cost efficiency and possibility of preserving a fruitful relationship with a business partner. We expect that in the near future, following the necessary reform of Ukrainian legislation, these methods will become even more popular in Ukraine.